If your podcast is listed in major podcast directories, such as TuneIn, Apple Podcasts, and Google Podcasts, note that it's already available via Amazon Echo. This article is about something more, a second way for you to get your podcast on Amazon Echo and make it available to an entirely new group of users – those who "don't listen to podcasts" or have no idea what podcasts are. The experience works similarly to the subscription features used by traditional podcast distributors, such as Apple Podcasts or Google Podcasts in that you set it once and new episodes are automatically received (and in this case, automatically played) as part of Amazon Echo's "Flash Briefings" feature. Once you've completed this process, here's how people will be able to listen to your podcast via Amazon Echo. Users ask, "Alexa, what’s my Flash Briefing?" The latest episode of your podcast starts playing automatically if Amazon Echo users have selected it to be part of this daily update. Which Podcasts Will Most Benefit From This Distribution Method? Because "a daily update" is basically what Amazon Echo’s Flash Briefing is, this distribution method works best for short (under 10 minutes), frequently-released audio content consumed in the morning, such as news, religious devotionals, and anything designed to quickly inform, inspire, or motivate. If your podcast is longer than 10 minutes per episode or doesn't fall into one of these categories, you may want to consider creating custom content just for Amazon Echo or doing a special edit of your podcast to be distributed this way. 1. Create an Amazon Developer account. 2. 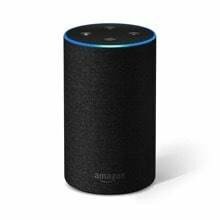 Select Alexa from the menu. 3. 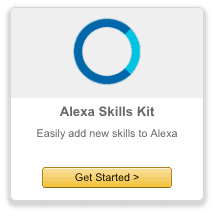 Select “Get Started” under Alexa Skills Kit. 4. Click on "Add A New Skill." 5. Select "Flash Briefing Skill API" as the type of skill and use your podcast’s name for in the "Name" field. 6. Skip the "Interaction Model" page (this information is not necessary for a Flash Briefing) and go to the "Configuration" page. 7. Enter "[PODCAST NAME] is not available at this time" in the Custom Error Message. 8. Click "Add new feed" and enter your podcast's feed information on the "Configuration" page. Here are the settings for your feed. The "Preamble" is what plays before Amazon Echo plays your podcast. It lets listeners know the subject of your podcast and your podcast's name. 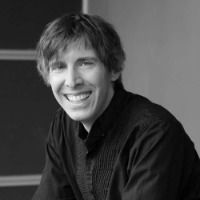 "In podcast marketing advice from Big Podcast" is the preamble for Build A Big Podcast. The type of content is "audio." IMPORTANT: Your "Alexa Feed" should only allow a single episode at a time. Not doing this will play multiple episodes of your podcast at and disrupt your listener's "Daily Briefing" experience. Below is a screenshot from the FeedBlitz control panel. Your feed control panel will have a similar option. IF YOUR FEED ISN’T ACCEPTED: If your feed isn’t accepted, you may want to review Amazon's requirements for feeds. One of those requirements is that audio feeds, which is what you’ve got, need to be HTTPS. There are also requirements for the audio files you stream. I suggest Libsyn to handle your hosting/feed (use code "big" to get a free month) and Auphonic to bring your audio up to speed. Select the category that best describes your podcast. Input "This is a podcast with an audio feed" in the "Testing Instructions" box. Input 2-3 words to describe your podcast in the “Short Skill Description” box — I said “podcast marketing” for Build A Big Podcast. Input a summary of your podcast in the "Full Skill Description" box. This is the description that Amazon Alexa users see in the Alexa app. IF YOU NEED GRAPHIC HELP: Canva makes it easy to create podcast (and other) graphics. You can use ResizeImage.net to resize graphics. 10. Fill out privacy information. 11. Test everything using Alexa's beta test option. If you don't own an Amazon Echo, you can test using the Alexa app. You can also invite other people to test. That's it! Once you're approved, which shouldn't take more than a couple of days, your podcast will have access to a brand new audience who might not normally access your content via traditional methods, such as Apple Podcasts and Google Podcasts. To make it possible for Amazon Echo users to listen to your podcast as a Daily Briefing, they'll need to enable your "Alexa Skill" via Amazon. Want an example of how it works? See my Alexa Skill listing for Build A Big Podcast and click "Enable." Once somebody has completed this process, he can simply say, "Alexa, what’s my Flash Briefing?" At that point, his selected content, including the latest episode of your podcast will start playing automatically.